1. This Movie is Worth a Gold Class Watching session! And worth watching twice! Amazing storyline and graphics. You really don’t want to Blink at all. From the fight scenes to the MotorBall challenge. 2. Alita’s large Eyes are alluring and her naïve sense of Righteousness in a Fallen world is addictive. 3. Watching her interactions with Hugo, the Iron City teen rebel who rides on a Gyro self-balancing UniBike and one realises that this is also a love story. 4. And can we dare say that the Fight scenes are incredible? 5. 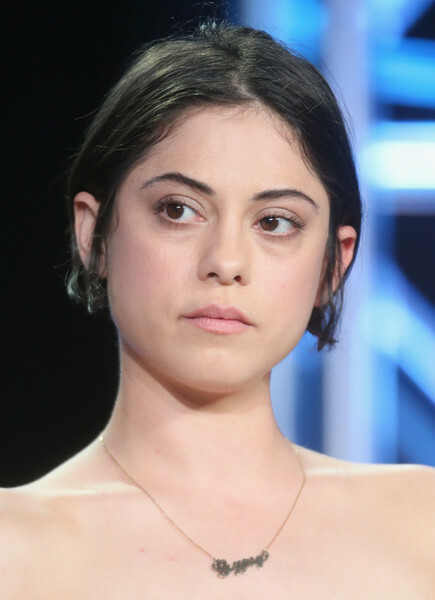 Rosa Salazar does an amazing Job of bringing Alita to life. And the producers of Alita are the same producers of Titanic & AVATAR. If you have to ask what is “AVATAR”? we’re not talking to you. If you're too stingy to fork out moolah for tickets .. here's the longest trailer clips compilation that we could find! A dystopian landscape, where the Rich live above in a secure community and the majority of society function only to support their lavish lifestyle. No ..I’m not commenting on the difference between Mont Kiara, KL and Puchong. This is the background to Alita’s Earth about 550 years from now. In the year 2563, a horrific inter-planet war between the Floating Cities of Earth and the United Republics of Mars known as the Fall has devastated Earth for the past (300) years. finds a discarded female cyborg with a fully functional brain. When awoken, she has amnesia and does not immediately recall who or what she is. The movie is as much about Alita’s journey of self discovery and movie watchers are notably drawn in to her spirit “I either give you All of Me or Nothing at all”. Alita: Battle Angel is Part One of a series. So don’t expect an all in one movie. Kind of like the reaction that people had to Lord of the Rings and also the Hobbit.